One of my New Year's Resolutions (that I don't think I ever blogged about) was to turn off the TV and get back into reading. Now, I haven't completely turned off the TV - I still indulge in mindless TV several nights a week. But, I have done really good with getting back into a passion of mine that relaxes me! I took a bit of a reading hiatus in the last few weeks of my pregnancy as I spent most of my evenings sleeping on the couch after I put Kate to bed! But, mid-night feedings (which we no longer have - thank the Lord for a good sleeper this go around!) were the perfect time to start reading again! 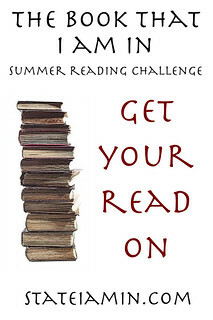 Erin over at The State I am In posted about a fun summer reading challenge and I knew I wanted to participate in! The challenge kicked off June 5 and will run until the middle of August! Two winners will be selected based on reading - who reads the most books - and who reads the most pages! I've already finished two books (570 pages) since June 5 - The Dead and the Gone and This World We Live In, both by Susan Beth Pfeffer! These are the last two books in the Last Survivors Trilogy. I'll be honest, the first book was the best and by the middle of the third book I was just ready for the series to be over. I'd give the first book 5 stars and the second and third books 3 stars. Not bad but not amazing. I'm pretty sure I am going to start the Desire trilogy by Kailin Grow tonight! I seem to be stuck in the dystopian genre right now. I also plan on re-reading a few classics like Little Women and Anne of Gree Gables and have Saving CeeCee Honeycutt at the house as well! If you are looking for something to read, I highly recommend Delirium and Pandemonium by Lauren Oliver! I read both last month and really enjoyed them! I am dying for the third, and final, book of the series to come out but sadly have to wait until next year! I'd love for y'all to participate and read throughout the summer with us! I plan on posting about what I've finished a few times over the coming months! 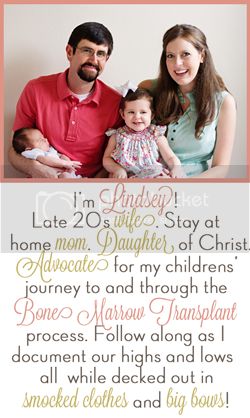 If you want to be a part of this challenge let me know - and head over to Erin's blog and leave a comment on her post about the challenge! What are some books you would recommend? Leave a comment and let me know what else I should add to my list for this summer! Thanks for the shout out! I'm so excited that you're participating. Saving CeeCee Honeycutt is on my list for this summer too. I really should make a list because I have so many things I want to read! Have you read Divergent? That was one of my favorite YA dystopian books. I also enjoyed Matched. The Forest of Hands and Teeth is pretty good too. Love to hear good book recs! I made the same resolution this year - started out really well, but having been a little slow lately. I'm hoping to get back on track this summer! Happy Reading, Good Luck, and I look forward to checking out some of the books you mentioned! I love getting new recommendations! I'm a high school English teacher, so all I do is read all.day.long. For that reason, it can be hard for me to read books for pleasure when I get home, even though I love it. I'm really making an effort though. I just finished Room, and now I'm on to 50 Shades of Grey. When I'm done with this series, I think I'm moving on to Unwind which is also a dystopian book that's going to be a trilogy eventually. I want to read One Flew Over The Cuckoo's Nest for school too. I can't wait to do more pleasure reading over the summer. New Name! New Look! New Location!